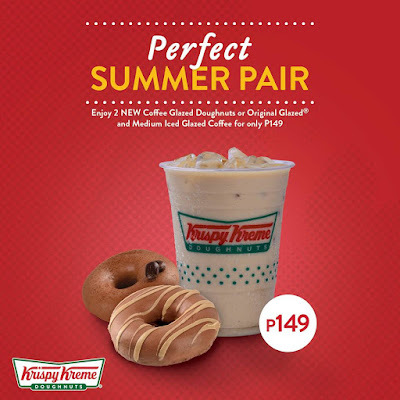 Summer just got better with Krispy Kreme's Perfect Summer Pair Promo! Enjoy 2 NEW Coffee Glazed or Original Glazed Doughnuts with Medium Iced Glazed Coffee for only P149 from April 16-30, 2018. * Offer is valid in selected stores only. But wait, there's more! 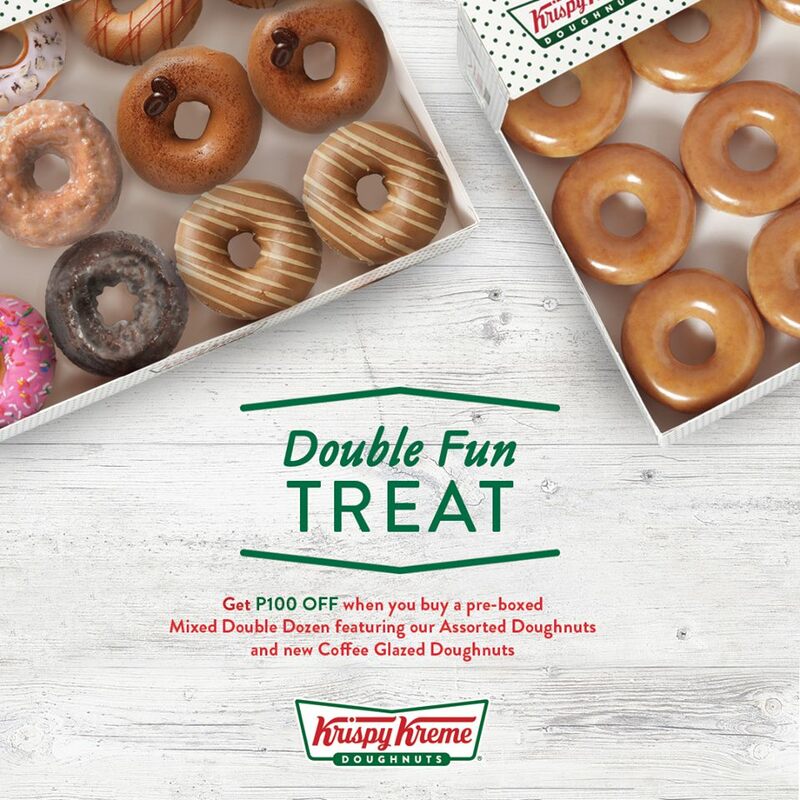 This summer will be twice as fun with Krispy Kreme's Double Fun Treat! Get P100 off (now for only at P595) when you buy a pre-boxed Mixed Double Dozen featuring their newest Coffee Glazed doughnuts from April 9-30, 2018. * Valid in all Krispy Kreme stores except SM MOA Arena and airport stores.